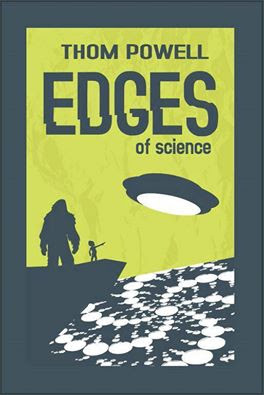 'Edges of Science' Takes Off ! Special thanks to Guy Edwards of BigfootLunchClub.com for the fantastic cover art. Suddenly, everybody is asking me about it. I'm not sure what happened, but Edges of Science has hit its stride. Calls for interviews....requests for appearances...suddenly lots and lots of books being sold! I am indeed grateful and humbled. I will do all I can to acknowledge and respond to the sudden increase in public interest in the book that has happened only in the past ten days. I wrote what I believed to be the fact of the matter, no matter how controversial or 'edgy' it was, and for that reason, I never really expected it to go anywhere. It may have been the truth as I saw it, but it was also edgy as hell, and I knew it all along. Mind you, I did my absolute best to produce a worthy product. At 130,000 words, 350 pages, and numerous photos and illustrations, I sincerely tried to produce a product that would give the reader their money's worth of original and thought-provoking literature. But, when you write a book, you are operating in a total vacuum. You have almost no feedback on how you are doing with the project nor any feedback at all on how the final product will be received. That is probably the most difficult aspect of the writer's job: trusting your instincts. I learned with the first book (The Locals, 2003) to just stick the book out there and 'don't blink' when the first reviews are absolutely scathing...and they were. "Stay the course," as President Reagan used to say. It wasn't easy, but I did. I was called 'delusional' by people whose opinions I respected. Still, I went out there and paid my dues doing public appearances, blog posts, pod casts, and various attempts at publicity. Mostly, it seemed like the world responded with deaf ears, although that isn't fair either. A few friends and followers of my work were kind enough to offer unsolicited feedback of the kindest and most supportive sort. Trust me when I say, it is impossible to overestimate the degree of encouragement that this provided. I will always be grateful to my friends Molly Lebherz, Joe and Sharon Beelart, Guy Edwards, Alicia Bateman, Kathy Strain, Russ Taylor, Jack Powell, Randy Schimmel, and several others who got behind this project in its earliest stages. It really kept me believing in the project to know it resonated with at least a few good people. Then one day, something changed. I don't know what, but it seemed like, within the scope of a week or two, I was seeing a huge surge in awareness of, and interest in, the project entitled, Edges of Science. I'm not at all sure where it will go. I'm still just a middle school science teacher in a little public school in southwest Portland. I tried to write a book that would make people think and maybe even change the world for the better, at least a little bit. That was my only goal. I hope I achieved it. It's still an open question. I would welcome any and all feedback on that question. Please feel free to post your impressions of Edges of Science in the comments section below. Thank you, everyone, for showing an interest. (For info on purchasing a signed copy, click on the cover shot to the right of this blog post. If you are foreign or overseas, please order through amazon.com. The customs forms on a mailed book are a bear and overseas postal rates are prohibitively high. A Kindle copy is also available thru Amazon for $5.99. This is definitely the cheapest and the quickest way to obtain a copy of Edges of Science. LOOK FORWARD TO READING YOUR BOOK, THOM. But if you re-post your March 8 summary above, you might consider correcting the typo in the last paragraph. I'm sure the typist hit the wrong key on 'think' and typed a 'g' instead of 'k'. I guess I'm picky, but more and more I see typos and errors in published books and internet postings. I wonder if we have become too accustomed to programs such as spell-check which would not catch the thing/think error. Anyway, I am fascinated by your Sasquatch research. 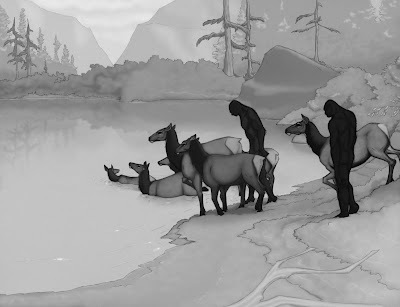 I believe reality is, as Terence McKenna so succinctly surmised, "stranger than we can suppose" and that Sasquatch, UFO's, and other paranormal high strangeness must all be linked to a similar source that we can not yet see. I shall look forward to your future books as well. 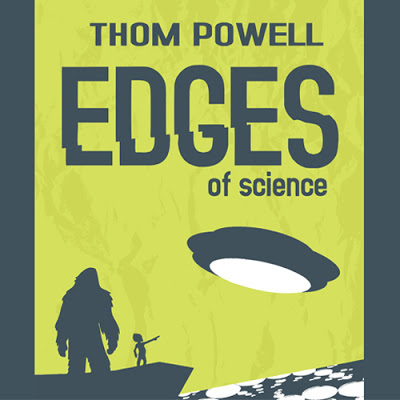 "Edges of Science" is now available!